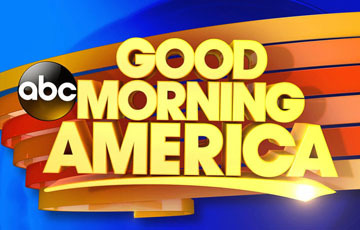 Net Nanny Stumps Kids Featured on ABC's "Good Morning America"
ABC-TV’s “Good Morning America” (GMA) conducted an experiment to find out whether children could get around two different parental controls software, Net Nanny and Qustodio. The results were clear – Net Nanny was the only service that the kids could not get around: Net Nanny stumped the children. The experiment consisted of ten 9-13 year old children trying to access a website which was blocked by GMA. Within minutes, the kids were able to work around Qustodio by finding a proxy site that allowed them to bypass filters. “If one child figures out how to get around blocking software, all their friends are going to find out as well,” said Eric Klopfer, a professor at the Massachusetts Institute of Technology told ABC News. Why was Net Nanny more effective in this experiment? With Net Nanny, the kids were given a second layer of protection because of its unique technology. Unlike most filters, Net Nanny doesn’t block a website based on its URL, instead, Net Nanny’s technology analyzes the content on every page to determine if it meets the safety criteria set by the parent. This experiment clearly demonstrates that Net Nanny gives kids better protection than its competition. In addition, Net Nanny gives parents more control (based on settings) by allowing them to embrace technology in healthy ways, yet also making sure that their family’s values transcend device, app or platform. Moral of the story? Not all internet filters are created equal.